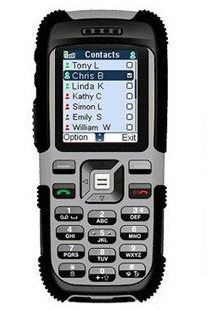 We are counted among the major Exporters, Importers and Suppliers of Sonim XP1 JCB Toughphone Mobile Phones in London (United Kingdom). The Sonim XP1 JCB Toughphone Mobile Phones, offered by us, are known for being what their name suggests. The Sonim XP1 JCB Toughphone Mobile Phones are tough and durable as well as classy and easy to use at the same time.